To make this Spongebob cake, I started off by first baking a half sheet cake, Buttercream icing with yellow color was used to make his face, his facial features were made from fondant icing along with his shorts, legs and arms. His spots are also made from fondant. Join in and write your own page! It's easy to do. How? 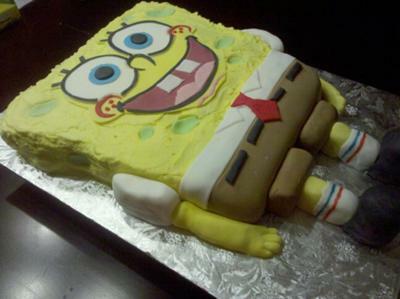 Simply click here to return to Spongebob Cake.